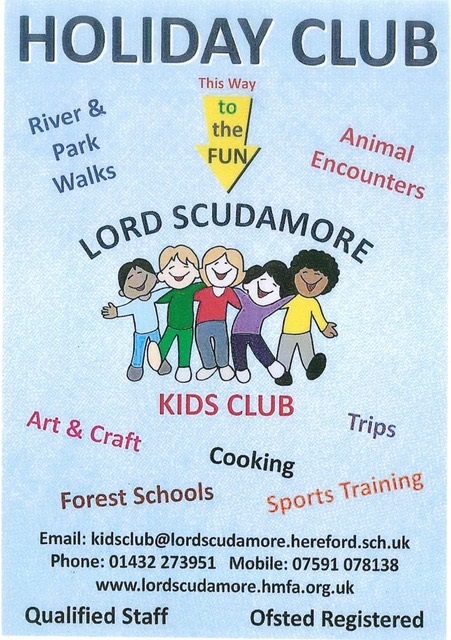 At Lord Scudamore Academy we provide wrap around care for our pupils before and after school. In addition Kids Club also runs a play-scheme during the holidays. 7:45am – 8:50am (£3.50 per child). This includes breakfast with a choice of cereal, toast, fresh fruit, milk or fruit juice. We accept school age children and Nursery age children—provided there is space and that the child is registered for a place. Do they have to be regular bookings? Regular bookings in advance are advised to secure a place however we are happy to offer places on an ad-hoc basis as long as your child is registered with us and a space is available and payment is received. We are happy to offer places on an ad-hoc basis. We are here to accommodate you. At the end of each day a member of the Kids Club will pick up the children from the classroom. What will my children do at Kids Club? Firstly children are collected by a member of staff and a register is taken. We then have a drink and a healthy snack to welcome the children into Kids Club. We have planned activities for different days and endeavour to create a home from home environment which includes: Art, craft, indoor and outdoor play, drama, iPads, sports etc. The activities will be many and varied some relaxing, some stimulating. incurred for children picked up after the club closes at 5:30pm. 5:30pm—5:45pm £5 and 5:45pm—6:00pm £10 per child to cover staffing cost. Request and complete the Kids Club Registration Form and send it to Kids Club Manager, c/o the school office. Email our kids Club leaders for more information. What times are the Holiday sessions? Trip charge : £2 per child to cover fuel and entry fees. Children attending all day will need to bring a packed lunch. We also take the children out on day trips to such places as Techniquest in Cardiff, The West Midland Safari Park, and lots of other interesting places. A fun time is had by all so please come and join us!